Description Located at the intersection of Hurontario and Absolute Avenue in Mississauga, Ontario, Welcome to 50 and 60 Absolute Avenue by Fernbrook Homes. These 2 massive towers were built in 2013 and were phase 4 and 5 of Fernbrook’s highly anticipated Absolute World. The iconic Marilyn Monroe towers have become a staple in downtown Mississauga, and won design awards nationally. 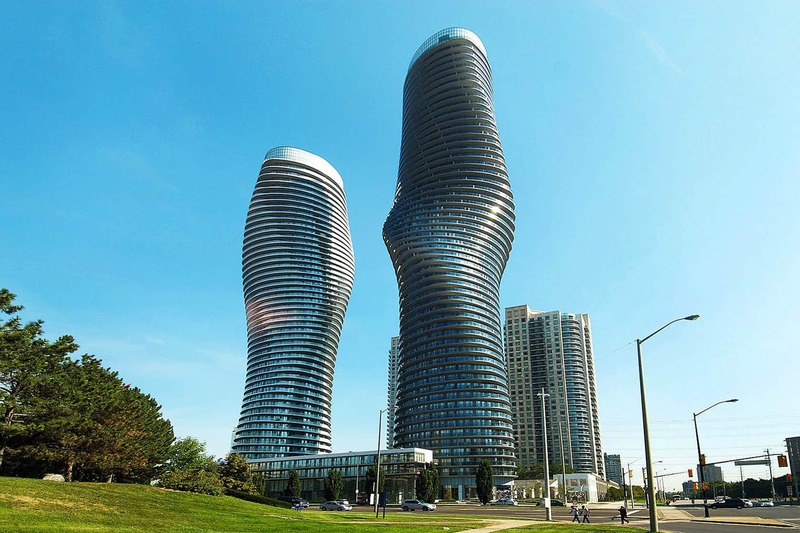 Take a drive through Mississauga and there's no way you can miss these spectacular towers! The Marilyn Monroe condos form part of the Absolute Condo community which is composed of five (5) towers all surrounding the recreation facility and main transportation roundabout. This creates a closed environment filled with modern design and sensational amenities.The two world famous Marilyn Monroe condos were built by Fernbrook Homes. Combined with 70, 80 and 90 Absolute, they form a complete community. We have found a total of 24 listings, but only 23 are available for public display. To get instant access to all 24 listings, please Sign up here. Received your flier in the mail! PICK ME SHAWN GANDHI!!! These buildings are by far the stand outs in the Mississauga city center architecturally ! kudos on doing a wonderful job on the video! all the best! One of the most trendiest buildings in the city with and epic view of the city.